on this weekend of frenzied fair-going, big money-hopeful sales, celeb branding, not to forget half-baked art critics mouthing off – damn, people are just so needy, here !! I’m taking a stand for the hard-core D.I.Y indie talent that lurks . . just under the volcano !! I meet KEVIN HARRY just out of the blue, standing in line to see ‘Dior and I’ – !! turns out his day job is Managing Editor at the legendary TV series, ‘INSIDE EDITION’ – and we all know how I love tabloid news formats !! but his secret inner life ? an on-the-city-street-beat . . . photographer !! he said he published his own zine – because he was just fed up with how it’s all white folk in the art world, and he’s pretty much right, except for, I think there’s a classic KARA WALKER cut-out presentation at FREIZE. but I mean she’s in a class all of her own, and – damn it, we all know he’s right. the art world is really a very limited ethnic mix, on all levels – from the fan base, critics, and artists, to the wheeler-dealer gallerists, and of course – the collectors. so that’s another under the volcano moment – or what ??!! yes – it is, and you know damn well know what I mean. so while everyone else is caught up in art fair frenzy, aka as the business of art – I’m taking a stand and saluting KEVIN HARRY and what he stands for: the indie photographer with a unique vision of what New York City streets are really all about – whose got to self-publish to get the pix out, and what’s wrong with that – D.I.Y. INDIE is the way of the future – and we all know it !! so hello . . KEVIN HARRY !! welcome to the art world !! I’m so loving your truly street-worthy pix !! 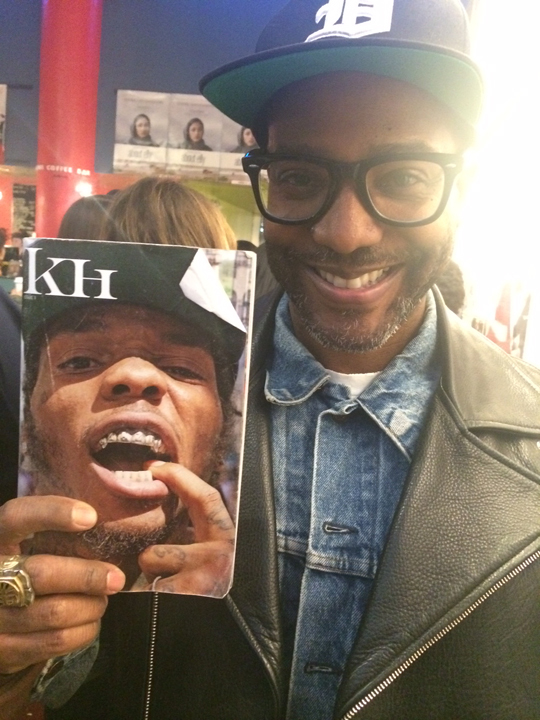 KEVIN HARRY shows me his first self-published zine, KH !! free-wheeling NYC street photos, and they are . . . GREAT !! fab, fab & more fab. alive and happy and most of all – diverse and generous !! a true capture of the streets of New York, this very moment. he’s got it down in a snap, the wild and raw electric energy that really pulses and runs through this city, beating a strong life energy – under the volcano of the big money & professional branding, that sits at the top, and really needs to move – over already !! 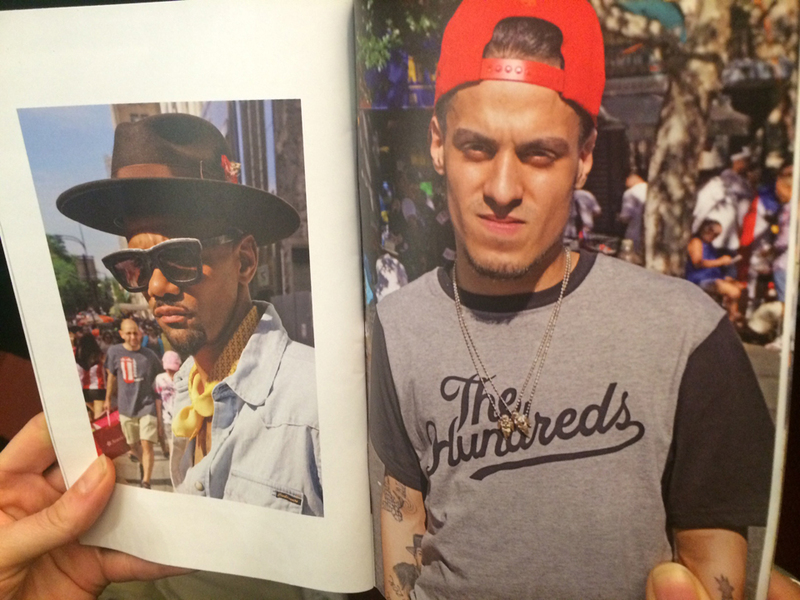 photos by KEVIN HARRY, in his zine – KH. 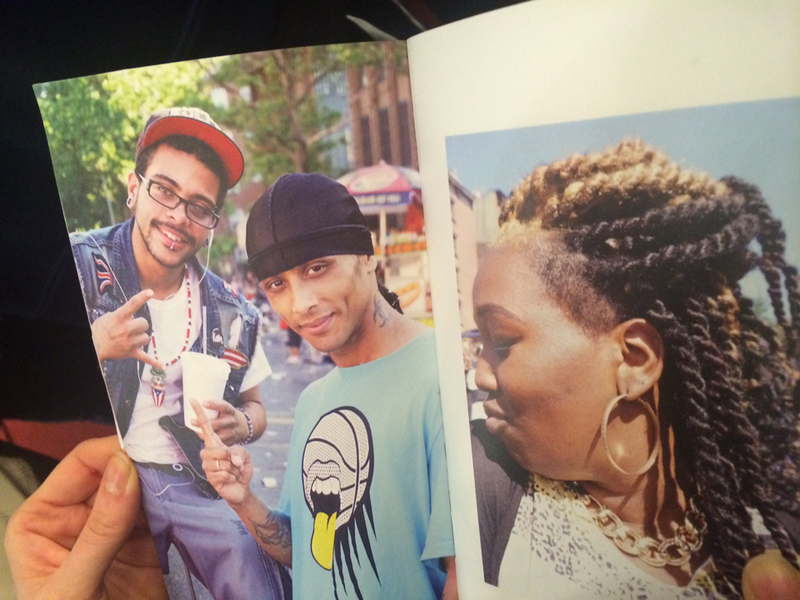 KEVIN HAS A NEW ZINE COMING OUT SOON, I’LL DEFINITE MAKE SURE TO LET YOU ALL KNOW, WHEN & WHERE – TO GET IT.